Oliver is wildly passionate about sailing and holds the RYA’s highly respected Yachtmaster Offshore Certificate commercially endorsed by the MCA. He fell in love with sailing the moment he was pushed out into Dover harbour in a Topper as a child. He then sailed dinghies before joining the sailing club while at university, and quickly developed an appetite for exploring wild places, becoming a senior club skipper in the process. He has sailed extensively around the UK, the Baltic and the Mediterranean but is especially drawn to the wild outlying islands of Scotland. 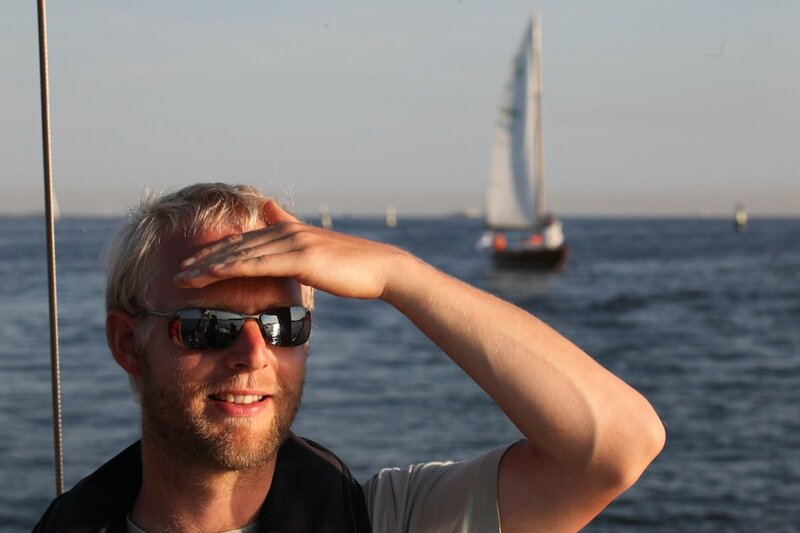 Oliver has long experience leading expeditions, teaching sailing as an RYA Instructor, and working with groups of young and disadvantaged people to broaden access to sailing. Oliver is also a fully qualified architect with a particular interest in low energy buildings and sustainable communities as well as a keen photographer, maker and adventurer.